Hello Everyone!Â ðŸ™‚ I enjoy watching a good foot-ball game but i'm not going to lie.. I mostly look forward to the FOOD &Â Half-time show. 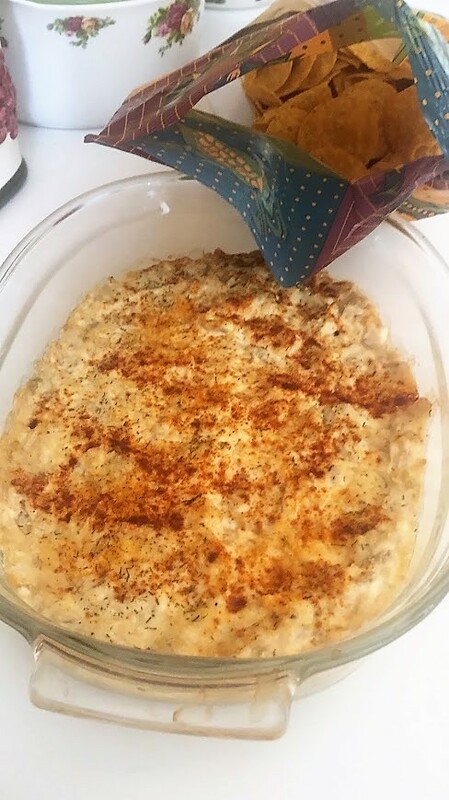 This years Super Bowl I am making a quick & easy Artichoke Dip that was shared to me by one of my co-workers. A yummy snack to bring to those Super Bowl parties or any occasion for everyone to share! 1-14 oz. 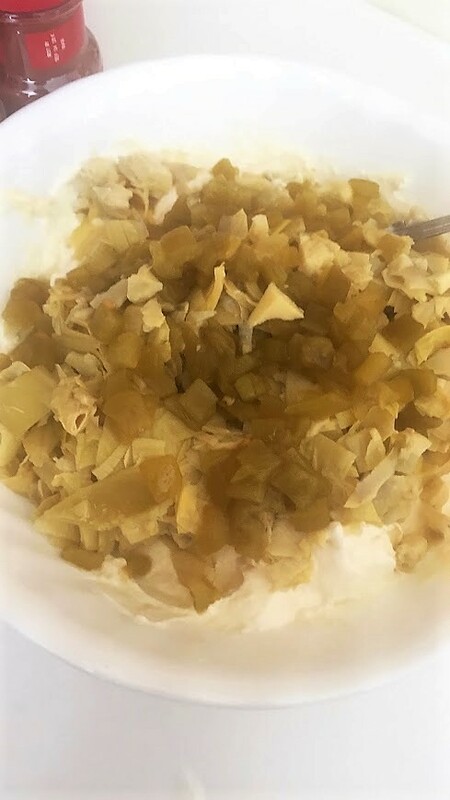 of can artichoke hearts (not marinated), drained and finely chopped. 1-8 oz. real cream cheese @ room temperature. 1 cup Kraft Grated Parmesan Cheese (not pictured). 1-4 oz. can mild diced green chiles. 1 1/2 Tbsp. of garlic powder. *Set oven to 350 degrees. Bring cream cheese to room temperature, then add mayo & sour cream. Stir until blended well together. Add chopped artichokes, chiles, garlic powder & 1 cup parmesan cheese & stir well. Spread evenly in a shallow baking dish. Before placing in oven to bake.. sprinkle more parmesan cheese & sprinkle paprika & dill weed. Bake for 25 minutes. Let stand for 10 minutes before serving, along with your choice of plain crackers/pita chips. I used tortilla chips.